In a strategic move towards globalisation, Logistics Bureau has launched an affiliation with European consultancy Logistics Consulting Partners (LCP). A Sydney-based management consultancy, Logistics Bureau has significantly boosted its global reach with the new alliance, recently announced at an industry breakfast function in Cockle Bay, Sydney. Logistics Bureau Director Rob O’Byrne was joined by visiting UK logistics identity and LCP Director Professor Martin Christopher to inaugurate the deal. LCP is Europe’s leading independent management consultancy specialising in supply chain management and logistics. Established 15 years ago, the company’s major clients include 3M, British Airways, DuPont, Ericsson, Esso, Hewlett Packard, Microsoft, Shell and Xerox. 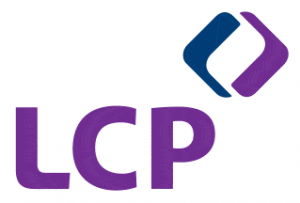 O’Byrne announced he was pleased to be forging a business relationship with UK-based LCP, which has a powerful global network and geographic reach. “Logistics Bureau has an Australian and SE Asian focus and by becoming an affiliated company of LCP, we now offer a substantial global service,” he said. Prof. Christopher, whose involvement in logistics spans almost 20 years, is the Professor of Marketing and Logistics at Cranfield School of Management, one of Europe’s leading business schools. At the affiliation launch, Prof. Christopher addressed a number of key issues affecting the logistics industry, including the growing trend to outsource, causing organisations to re-examine the way they manage supply chain relationships. “The challenge to tomorrow’s supply chain is to find better ways of delivering superior value to customers at less cost,” he said.